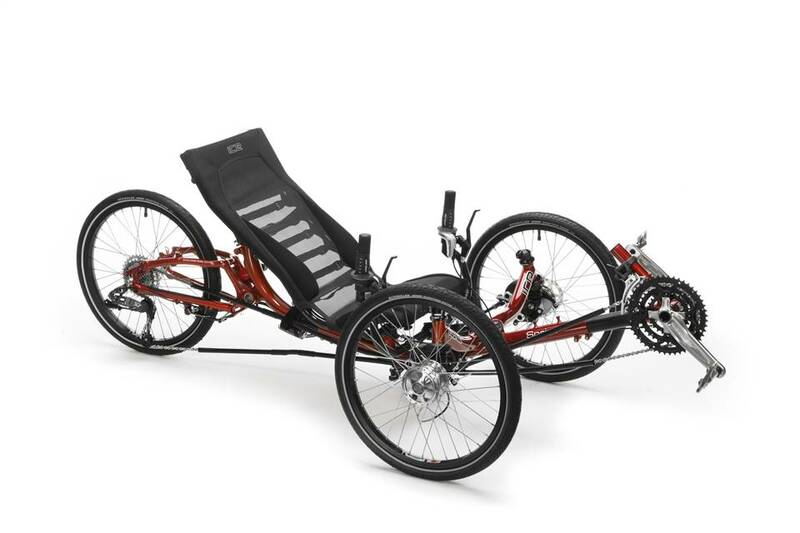 The ICE Sprint is the ultimate fusion of sporting performance, long-distance comfort and convenience with the unique ICE C.F.T folding frame. New for 2012, all models in the Sprint range can be optimized for speed with the X-type upgrade. BRC: The full-suspension Sprint. 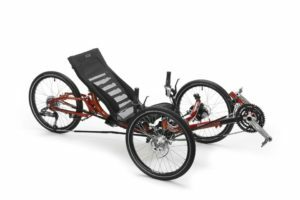 The ICE Sprint model trikes are basically the same as the Adventure but the frame is lower and and the seat angles more reclined. A bit more performance oriented than the Adventure. 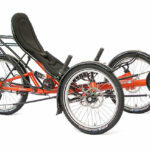 ICE: ICE trike are packed with pioneering features and hours have been spent perfecting every detail. 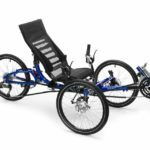 No corners are cut in the manufacture and assembly of every ICE trike. With ergonomically designed seat, ICE Road Response suspension, and the ICE Rider Positioning system, every ICE rider can be assured of a comfortable ride. ICE trikes have toured the world, proving exceptional reliability due to engineering integrity and depth of quality. 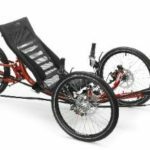 Reliable, predictable, and assured, ICE trikes have renowned handling, stability, and efficiency, ensuring years of exhilaration and fun. handling, stability, and efficiency, ensuring years of exhilaration and fun. 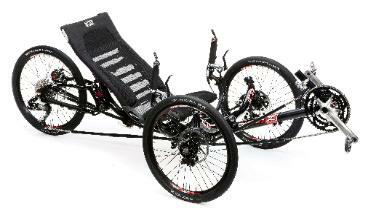 The ICE Sprint folding trike is the ultimate fusion of sporting performance and long- distance comfort. 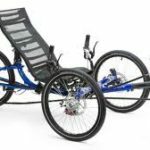 With a mid-height seating position and ICE’s renowned handling the Sprint is a trike which begs to be explored. All models in the Sprint range can be upgraded with an X-type package, optimizing them for speed performance with race specification components.